- An effective ayurvedic formulation which provides strength & stamina to the body . - Used for stamina, strength, energy, counter weakness. - Providing strength, stamina to local tissues by helping in strengthening muscles to energizing, rejuvenating and vitalizing the body. - Used for general weakness and to rejuvenate and restore the body's strength. 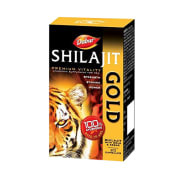 Take Dabur Shilajit Gold Capsule as directed by the physician. 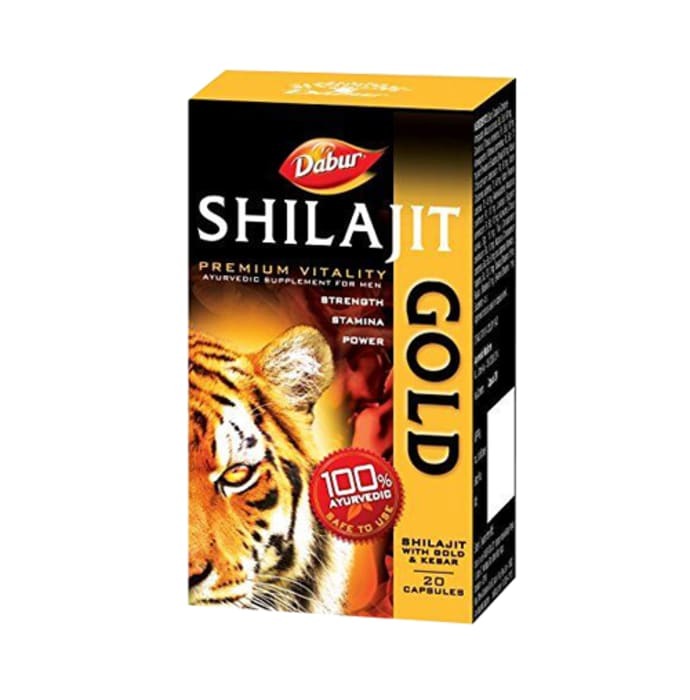 A licensed pharmacy from your nearest location will deliver Dabur Shilajit Gold Capsule. Once the pharmacy accepts your order, the details of the pharmacy will be shared with you. Acceptance of your order is based on the validity of your prescription and the availability of this medicine.